Web professionals are always looking for that extra edge. We want tools that help us get things done faster – but without sacrificing quality. In other words, we want to build websites that look and function perfectly while spending as little time as possible building them. It’s a very high standard. A great WordPress theme is one of those assets that can make a designer’s life so much easier. Ideally, we want a theme that is flexible and can be used to build a variety of different sites. It also needs to look pixel-perfect on any screen. Most of all, it should be built with the leanest code possible to ensure top performance. 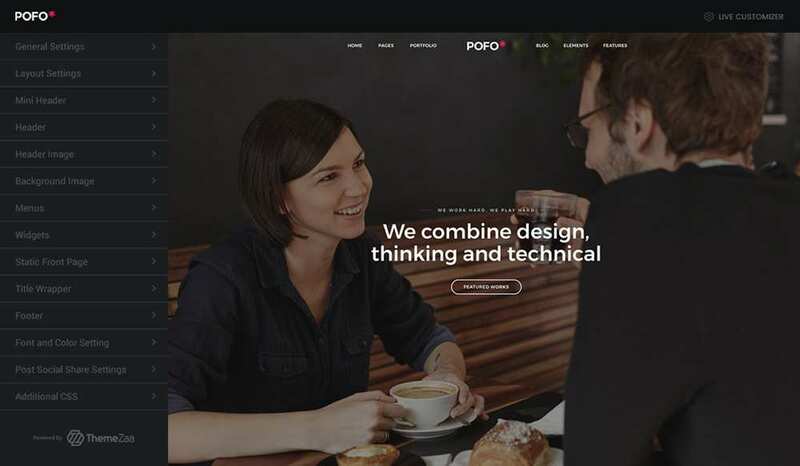 That’s why so many professional web designers have turned to POFO, a multi-purpose WordPress theme that enables rapid development of just about any type of website. While many WordPress themes claim to be multi-purpose, POFO actually backs up that claim with 25+ unique demos. 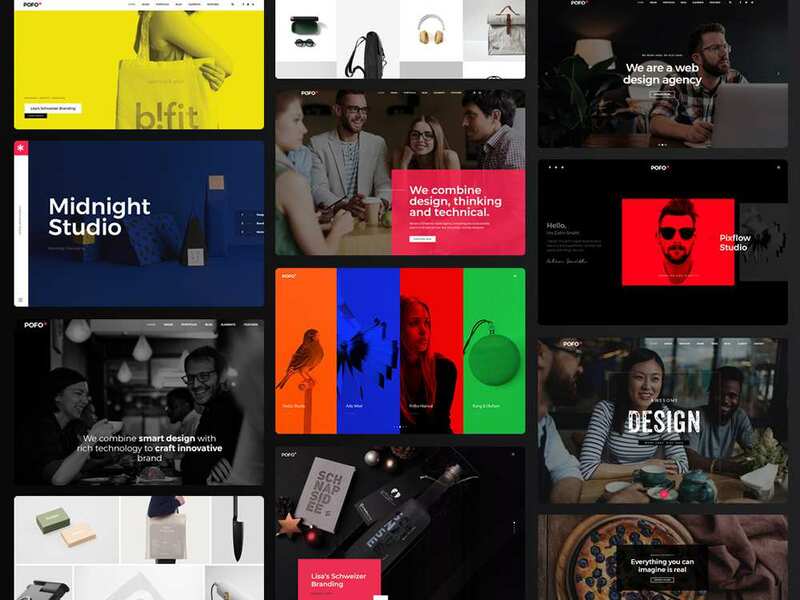 These demo sites run the gamut from your everyday corporate website to creative agencies, portfolio sites, one-pagers, blogs and ecommerce (with full WooCommerce compatibility). All it takes is a single click to import the demo of your choice and boom, your new project is off to a quick start. Theme author ThemeZaa has really taken great care to do things the right way (the WordPress way, if you will). One thing you’ll notice upon installing POFO is that there are a plethora of customization options – all tweakable via the WordPress Customizer. It makes for easy changes and means that the theme adheres to the highest of standards. We professionals don’t have time to deal with bloated themes that underperform. POFO has made the extra effort to keep things as lean as possible, leading to blazing-fast load times. It’s built to leverage caching, optimized images and follows best practices for coding as well. Plus, it’s been thoroughly tested and optimized for the best possible SEO results. It’s nice to know that your site won’t be dragged down by its theme. It’s clear that ThemeZaa understands that every website we build has its own unique needs. They’ve included hundreds of custom layouts and design elements within POFO – all of them fully-responsive and retina ready. The sheer number of portfolio, blog and page layouts available will cover every need. But you also get a wide array of header and footer styles, and design elements that range from the simple (like headings and blockquotes) all the way to the highly complex (such as accordions and charts). It’s a safe bet that everything you could possibly need is right there in front of you. It’s often those little extras that make a huge difference in boosting your efficiency. POFO offers them up in spades. For example, it comes bundled with the WP Bakery Page Builder (formerly known as Visual Composer), which helps you create even the most complex pages in mere minutes, and the Slider Revolution plugin, an innovative, responsive WordPress Slider Plugin that displays your content in the most beautiful way. The theme is also compatible with WPML, W3 Total cache and Yoast SEO plugins. Then there are the 150+ included WordPress shortcodes that take all the pain out of implementing just about any design element you can think of. 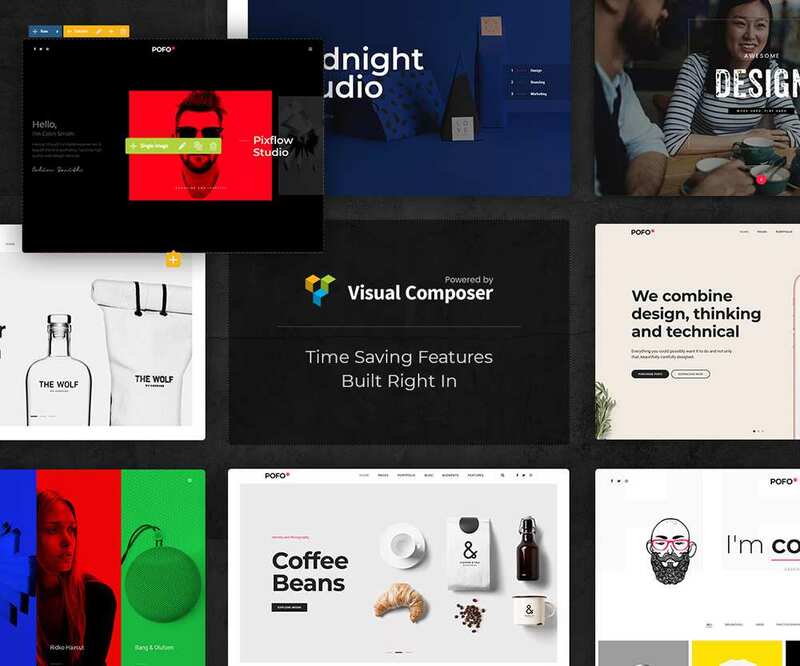 You’ll also love that the theme includes plenty of custom sidebars and widgets, megamenus, parallax scrolling and access to tons of icons and fonts. You’ll have everything you need to build a website in your own way. While POFO was crafted for ease-of-use that anyone can take advantage of, it was also built with an eye towards the needs of professionals. That’s why it includes a blank child theme, allowing you to customize templates without the fear of losing your hard work during an update. You’ll also receive a lifetime of free updates so that you’ll always have access to the latest features. This enables you to build with the confidence of knowing that your theme won’t become outdated within a few months. And you’ll have full access to new demos as they are released. It’s also important that you have access to support for those times when you need a helping hand. ThemeZaa includes fast and friendly support that you can count on to have your back whenever you have questions. Plus, the theme is thoroughly documented and offers helpful video tutorials. 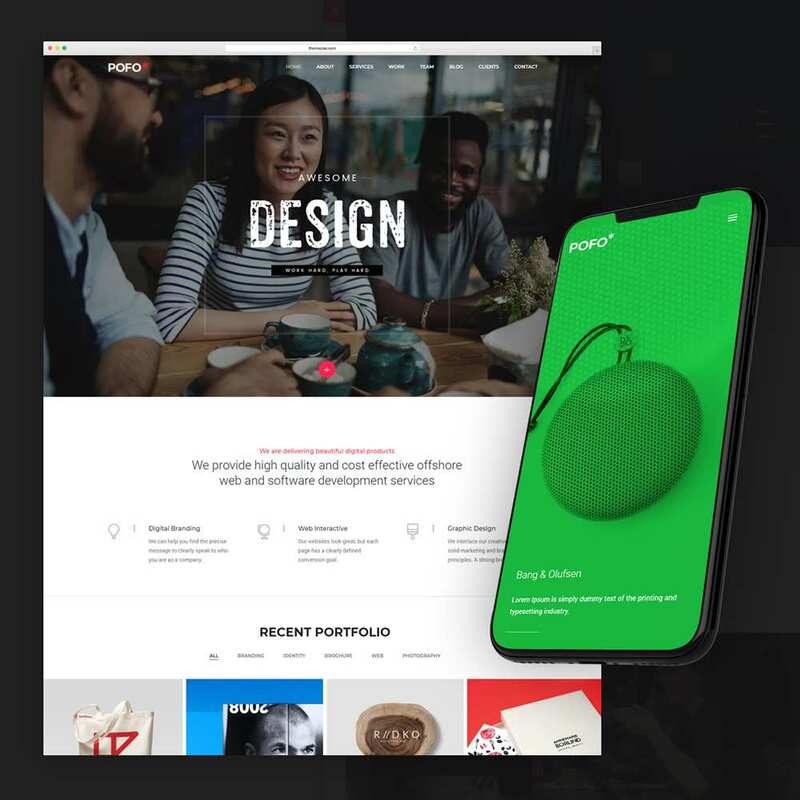 If you’re looking for a WordPress theme that will enable you to do your job more quickly and efficiently – POFO is it. Its feature set and flexibility are simply unmatched. Grab your copy and start building better websites.